East Yorkshire Coaches is now a member of the BUSK Benchmark scheme. Companies listed on the Benchmark website undergo two independent audits to check how the company is run, what systems are in place to safeguard passengers and to what standard drivers are trained. This means that people hiring coaches can be reassured that the company they hire from is operating safely and legally. 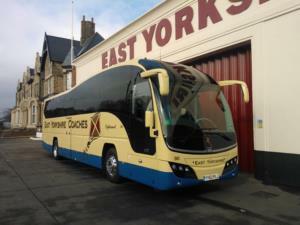 See the East Yorkshire Coaches/East Yorkshire Motor Services BUSK Benchmark safety page.